In the dead of night, a group of men - including a police commissioner, a prosecutor, a doctor and a murder suspect - drive through the tenebrous Anatolian countryside, the serpentine roads and rolling hills lit only by the headlights of their cars. They are searching for a corpse, the victim of a brutal murder. The suspect, who claims he was drunk, can't remember where he buried the body. As the night draws on, details about the murder emerge and the investigators' own secrets and hypocrisies come to light. 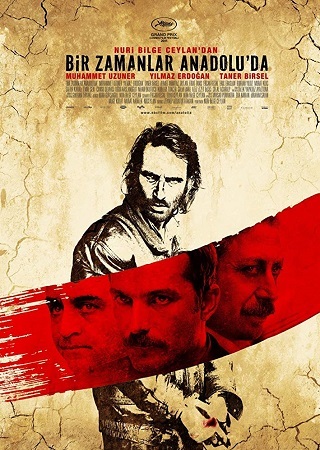 In the Anatolian steppes, nothing is what it seems; and when the body is found, the real questions begin.